Caption slip reads: "Photographer: Gaze. Date: 1958-01-14. Assignment: Chas. Chaplin Junior in court. 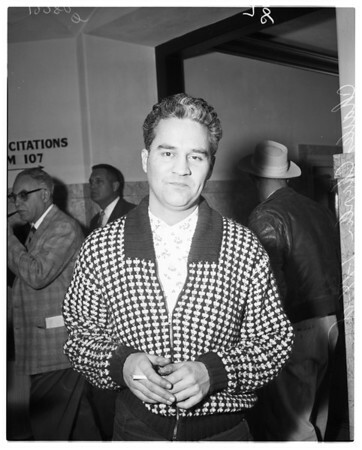 Charles Chaplin, Jr. outside of municipal court, Beverly Hills, where he was granted a continuance until January 20th to plead to a charge of misdemeanor drunk driving".